Pele in therapy. Maui as superhero. The cannibal king O‘ahu Nui in a world of shady deals and political corruption. The star-crossed naupaka lovers as Honolulu high-school sweethearts. 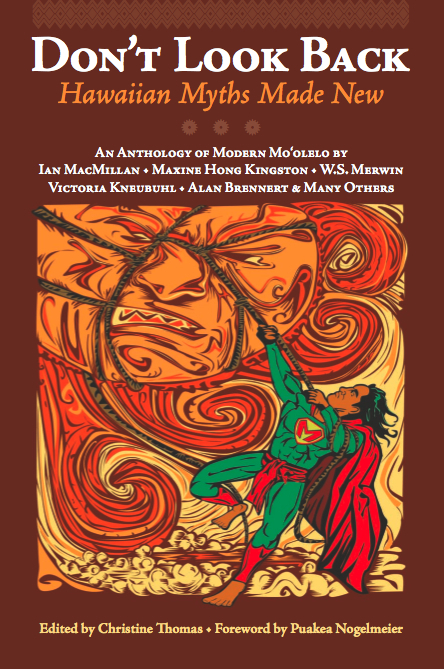 In this one-of-a-kind anthology, old meets new as Hawai‘i’s best writers, including Ian MacMillan, Maxine Hong Kingston, W.S. Merwin, Victoria Kneubuhl, Alan Brennert and more, present favorite myths and legends in surprising contemporary settings. Here are 17 tales of old Hawai‘i—lovingly reimagined and retold for the 21st century. Editor Christine Thomas is a freelance features and travel writer and book critic. Indiana University Journal of Folklore, Angeline Shaka, 11/7/2012. Honolulu Weekly, Wanda A. Adams: Old Legends, new voices. 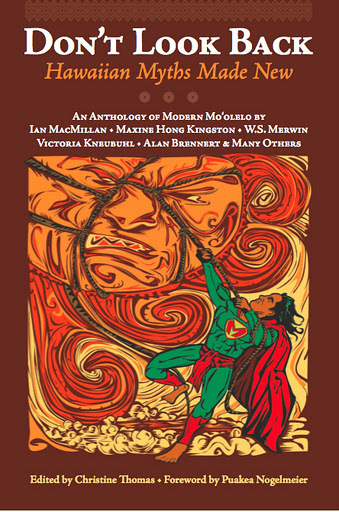 The Hawai‘i Book Blog: Local Book Puts Modern Spin on Hawaiian Legends. Christine Thomas discusses myth and writing on The Conversation with Chris Vandercook on HPR2, 6/13/2012.